Make your own music in minutes by combining more than 200 professional samples. With Music Machine Pro you can share your compositions with friends in Facebook, Whatsapp, Line, Youtube, E-Mail or any other social media, play with effects in real time, change your tune's tempo, pitch, equalization and track volume. Customize the App with a variety of skins. Music Machine Pro is the definitive application to create your own music and have lots of fun at the same time. A free App that offers you a seven track studio including high quality samples. 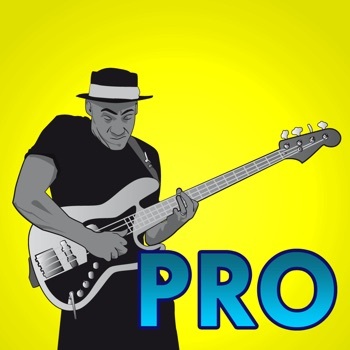 You can use these professional samples as you want to compose the perfect tune as pro as the ones played in the best clubs. Amazing compositions that highlight the sound quality, a great variety of rhythms and effects that can be added track by track. See Music Machine Pro in action! at facebook.com/djmachine A fun and functional app that allows you: · To create unique and customized electronic music suitable for any live gig. Remember that all the Music Machine compositions are free of royalties. · To share your own Music Machine compositions in Facebook, Whatsapp, Line, Youtube, E-Mail, etc... · To apply real time effects and filters by track or to all tracks at a time. · To make harmonic changes per bar. · To control track volume, tempo and pitch of your composition. · To use your own compositions to entertain and amaze family and friends. Compete with them,compare your compositions and see who is the best composer. Music machine Pro is the App required by all those music lovers that want to dance to their own compositions while having fun creating them. A certain way to enjoy music with a great personal touch that shines and it's so simple. A stunning APP to have fun making unlimited songs in a natural, easy and intuitive way that is available for iPhone and iPad. Music Machine Pro is a definitive and unique tool for entertainment, musical composition and sound quality.